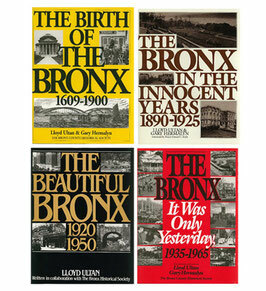 The Life In The Bronx Series Collection is comprised of four books The Birth of The Bronx: 1609 - 1900, The Bronx in The Innocent Years: 1890 - 1925, The Beautiful Bronx: 1920 - 1950 and The Bronx "It Was Only Yesterday": 1935 - 1965. 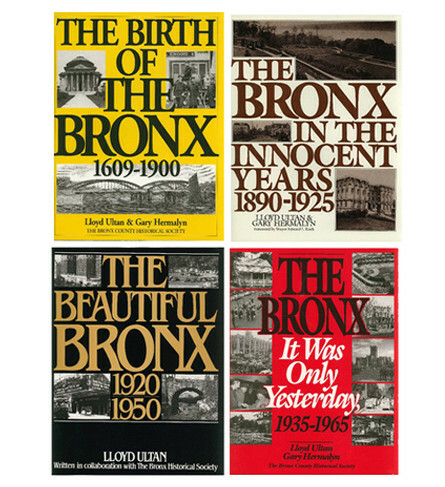 These absorbing narratives of The Bronx's history are complemented with rare photographs from the research archives of The Bronx County Historical Society. They offer a vivid glimpse into the wide range of changes that occurred throughout the years and of the elements that preserved The Bronx as a desirable residence for the countless numbers of people that chose to make it their own.